Technology is supposed to make our lives easier. This is the allure and attraction we have to it. Blinking lights and high res displays are not the entirety of the advancements that we embrace. Some of them are unseen and often taken “on faith.” There are certain areas in which the jury is still out and one of these is relationships/dating. Human emotions are so complex and dating rituals are so culturally biased that it’s almost impossible to apply science to matters of the heart. It has been attempted for decades with success and failure. The upcoming release Matched tackles this issue. The soon to be released Brian Enciso film of modern romance via technological assistance is equal parts comedy and sobering drama in its discussion of what society is willing to give up in terms of romance in the search for one’s soulmate. Two tech-crossed would-be lovers Jacob Hill (Ithamar Francois) and Allie Benson (Ariane Ryan) seem both destined and doomed in their love connection in this depiction of the uncertainty of a certain connection. While the film is futuristic, it’s a stretch to refer to it as Science Fiction. It’s more accurate to describe Matched as a story about where we are soon headed if we continue along the relationship trend that the world has been careening towards. The story is in no way a condemnation of the integration of tech and one’s relationship status but rather an offering about what the next iteration may be. When a heartbroken young man named Jacob receives a strange package in the mail, he finds a device inside informing him that a company named E-rose has found his perfect match based on science, data, and profiling. Her name is Allie Benson and while she does seem to be a good match, the discomfort of having her complete profile in the palm of his hand is too much for Jacob to bare. Out of curiosity, he goes to the restaurant where she works as a waitress and confirms that the E-rose profile was accurate. He avoids contacting Allie on this first occurrence but she later seeks him out. The two are forced to deal with the fact that they may be perfect for each other in spite of the sterile/unromantic means which has brought them together. As a proxy for modern couples everywhere, the duo contemplates what love truly is; a mathematical formula, a choice, or something altogether different. More than simple entertainment, the film is a springboard for discussion about love in current times…at least for those seeking love. The discussions and life-planning presented by the characters of the film could appear weighty and cumbersome but this is offset by the score of Matched. The obvious choice of cold digital synths was rejected for this film which instead utilizes Folk music instruments such as acoustic guitar, piano, banjo, mandolin, cello, and assorted folk percussion. There’s an intuitive lighthearted and comedic sensibility to the instrumentation and score that composer Chris Wotherspoon has fashioned for Matched. A primary example of this is when Jacob makes the decision to burn the profile he has received in the mail about Allie. As it is burning, Jacob receives a call from Allie telling him she wants her personal information package back. As he literally and figuratively puts out fires, a series of folk percussion elements and a chaotic pizzicato string arrangement (still organic and folky) creates a feeling of disjointedness and comedy. People seem to be in constant search of a means to improve every aspect of their life. Cars, telephones, dating services…these are all merely modern accoutrements of the courting process. Services similar to the one at the center of Matched are very near existence already, it’s likely that they will soon be here. Matched gives us something to think about as we feel the oncoming changes and we must decide if what we have right now is good enough or do we risk it for what could be better…or worse? There are many avenues to pursue in the modern day music industry. While the opportunities for bands and artists may have decreased in the last decade or two, other vocations in the music world have gained new venues within which to be employed. James McWilliam is a prime example of this. He may have had adolescent dreams of pop/rock stardom as a drummer but after veering towards jazz and classical music in his studies, he has become a noteworthy composer, conductor, and orchestrator in his native UK. Although working primarily in the UK, McWilliam has worked with and led ensembles in Paris and Macedonia as well. 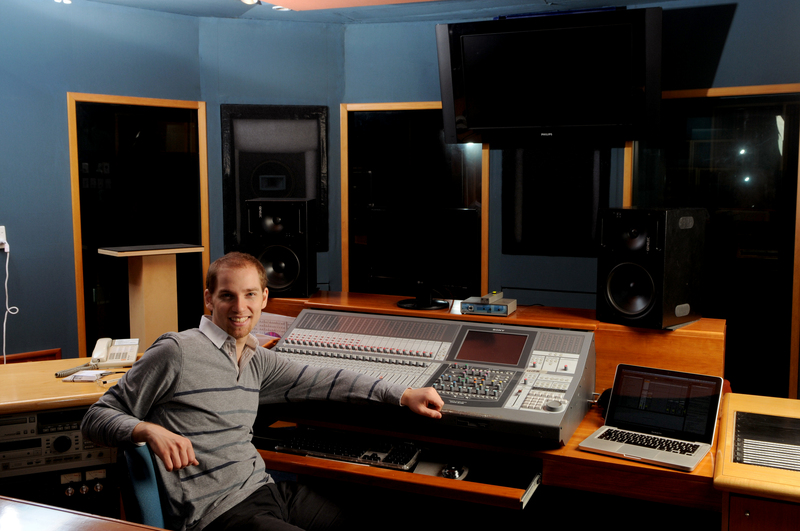 As a professional whose credits include the films; The Book of Life, Harry Potter and the Goblet of Fire, Masterminds, Standing Tall, and many others, James is widely sought after by filmmakers looking for music to enhance the emotional impact of their creations. Whether working on big budget feature films, Independent movies, or even video games, McWilliam is known for creating and/or implementing the audio accompaniment to perfectly present the goal of its creator. An overview of James’ work on his many projects gives proof to the idea that this musician/composer is challenged to be creative in a wide array of media presentations. Rather than touring the world in a van or a bus as a drummer who plays to crowds at clubs or theaters, James has become a respected and valued member of a global music and filmmaking tapestry performing to peers who are among the most talented artists in the world. From a young boy thrashing about on the drumkit to leading the world’s most gifted orchestras, James McWilliam seems incredibly grounded…so much so that one wonders if he actually realizes that he has exceeded his own youthful goals. British born composer Emily Rice is a member of the club of young composers who began as serious instrumentalists but angled into the path of composition. While many gifted performers seek the adulation of a live audience, a subset chooses instead to influence and affect generations of audiences by writing music to interact with other art forms; in Emily’s case, film and television. The choice to have your work be supportive and shine the spotlight on another’s performance implies both talent as well as a complementary nature. No doubt, her early years as a cellist in London taught her the importance of each individual’s role in an ensemble, as well as the emotional impact the entire group could elicit on an audience. Following a successful series of compositional endeavors in the UK, Rice began fielding offers from Hollywood with highly successful results. Najmia is a film about the last days of a pregnant twelve-year old Yemini child bride before undergoing labour. The uneasiness of the subject matter in terms of social conformity and the life endangering experience of Najmia coupled with the presentation of this piece led to a win in 2015 at the Forum on Law, Culture, & Society’s International Short Film Competition. Ethical discussions were bound to arise concerning the situation in the film but Rice states, “Our main focus was to communicate the topic of humanity, especially towards the central character Najmia. The film ends ambiguously with Najmia giving birth and the audience is left not knowing whether she survives the labour or not. The film’s aim wasn’t to make judgment on child marriage and the pregnancies that result from these marriages, but to raise awareness about the need for proper midwife training and better sanitary conditions in these situations.” The film required a score that would match the intensity of the story being displayed on screen. The compositions Rice created more than achieved this goal, as proven by her nomination for Best Composer at the Underwire Film Festival in 2015 (Najmia has received four nominations in addition to those previously mentioned). Rice took some extra precautions to assist the filmmakers in avoiding any preconceptions by the audience. She comments, “We wanted the audience to come away thinking that Najmia could be any young woman, not just a young woman from the Middle East as depicted in the film, and this is why I avoided using ethnic instruments. Also, emotion is something that strings provide very effectively. As a string player (I started my musical life as a cellist), they were the obvious choice.” Emily used an early musical form known as a passacaglia as a base to create the cue in the climactic scene in which we realize that the main character is in trouble. The composer’s knowledge of the prejudices that we may carry with us helped the filmgoer experience the true message that was intended. As an artist who is cognizant of the evolution of TV and Film and the need for the compositions that accompany it to grow, Emily constantly seeks out new challenges and ways to widen her palette. In addition to live action films, animation has been popular for many decades and continues to change with technology. As continued validation that Rice is clearly a respected and contemporary member of the film and music community, the Los Angeles Live Score Film Festival recognized and selected her to score the animated film Cowboys in a Saloon (awarded Best Picture at the Los Angeles Live Score Film Festival). The score was recorded by the LA based ultra modern ensemble the Helix Collective. Emily takes an active interest in the live music scene in Los Angeles but it is her deep love of film and television composing that drew her to the city and industry. Her achievements working on commercially successful films such as the Jerry Bruckheimer production “Deliver Us from Evil” (Grossing $65 MM) and the $100 MM Worldwide hit “The Last Witch Hunter”, starring Vin Diesel, have benefited from Rice’s focus as well as longer formats like the WGN’s TV series “Underground”. Emily continues to immerse herself in new challenges and musical experiences here in Los Angeles. The composition and orchestration for 93 Days, about a Liberian-American racing against the clock in a foreign country against the Ebola influenced panic, demands an intensity and suspense similar to other big budget films. It’s a situation to which Rice has already proven herself to be more than appropriate to contribute. Firefly (2016, currently in production) sees Emily being challenged with the dichotomy of wonderment and suspense. The child’s perspective of Maya (the film’s central character) has led the composer to seek a nontraditional approach in order to bring something fresh to the story. The score of Firefly is based on musical motifs, including a “monster hunting” theme. Rice reveals, “The ‘monster hunting’ theme is quite rhythmic as it accompanies Maya while she prepares traps for the imaginative monster. I’ve also used a lot of instruments that are typically ‘light’ to reflect the childlike qualities in the story…mostly harp, piano, celeste, and a small amount or strings and percussion.” Sometimes it takes a light touch and approach in a score to leave a strong impression. Canadian born film composer Vincent L. Pratte creates dynamic and thematically rich film scores that will enthrall any audience with their musical diversity and depth. 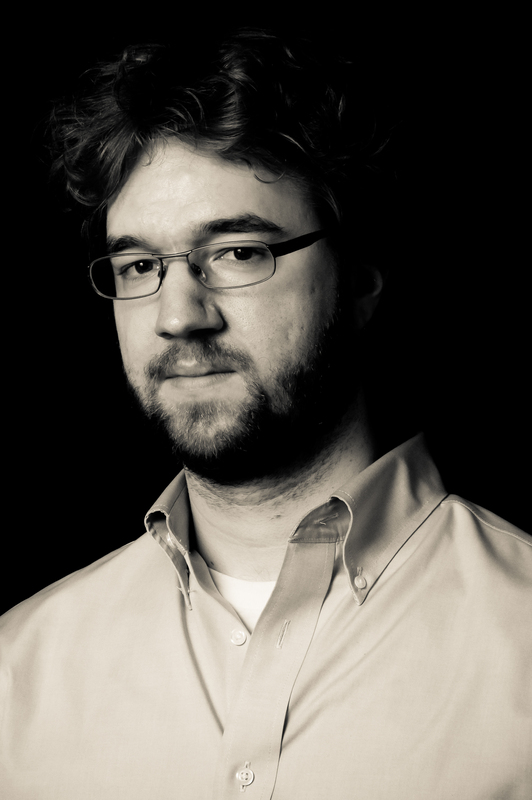 A musician who began scoring orchestra pieces in high school, Pratte is a composer who doesn’t mind going outside his comfort zones and trying new and unique methodologies. In college Pratte came to the conclusion that, “music and especially composition was not monolithic, and that there was room to do whatever he could imagine”. Pratte believes that in films, the music is there to add emotional, dramatic or narrative layers to a scene, but not to overwhelm it. It is through this meticulous and complex process that Vincent L. Pratte is able to stand apart from other film composers as someone whose music is truly original and highly sought after. Demon Gate, a horror film revolving around demonic possession, beautifully demonstrates Pratte’s style of composition. The film’s score showcases an open ended musical structure that features a wide array of musical styles to achieve a deeply dramatic tone. Pratte is a composer who feels a film’s score can make the viewer feel visceral in ways that the visual medium cannot– a point that is driven home by the haunting score found in Demon Gate. The film Eleanora: The Forgotten Princess, which is a cross between a musical, a period piece and a fantasy film, features a riveting score by Pratte that serves as an exploration of the character’s inner motivations. This super natural tale of revenge and jealousy sports a composition that embodies the weight of a much larger thematic piece without overwhelming the narrative. “Although we often tend to think of film music in terms of dramatic end epic themes, so much of the work of a film composer is actually about how to subtly complement a scene,” admits Pratte. Pratte’s score for Foos Your Daddy, a coming of age comedy, creates a brilliant texture reminiscent of large-scale gladiator-style films, which perfectly accompanies the film’s “absurdist touch,” as Pratte puts it. In the film, which was directed by Luke Patton, a father and son indulge in one last foosball game before the son heads off to college. Pratte’s score is a testament to his brilliance as a composer who fully understands how to create music that sets the tone for each scene. As the film progresses the intensity of the score expands exponentially. Whereas the film starts out with a “coming-of-age… indie rock vibe,” as the foosball match unfolds the composer uses music to create an air of high stakes, big action, and emotional transitions. Pratte has composed for a lengthy list of films across virtually every genre, but he admits that his favorite medium to compose for is animation because of the freedom and intensity it allows. His poetically melodic score for Eloise, Little Dreamer gave the tale of a young girl, who is separated from her sister in the big city, a multi-layered emotional resonance. The film was most recently awarded the Best International Animated Film at the New York International Film Festival. John Doe, the animated story of a detective lost in a case he is unable to solve, features another strong score by Pratte, with the film’s lack of dialog making the score integral to providing the narrative for the twisted tale. Although Vincent Pratte still enjoys composing orchestra pieces, his passion for blending the abstract nature of music with the more concrete artistic medium of film, is by all accounts his true calling. A film composer who, like a magician, has many tricks up his sleeve, Pratte is a dynamic musical talent whose compositions augment any project to which they are attached. Rob Teehan has decided to head south to thaw out from the Canadian winter in the warm California sun. When we got wind that one of Canada’s top film composers was coming Stateside, we decided to catch up with him to talk about his eminent migration. Rob Teehan started his career as a performer, playing the guitar, flute, and tuba, before moving into classical choral and orchestral composition, which led him to his forever-home of film composition. He has gone on to score more than a dozen films, including the award winning films Tulip, Texas and Us, and The Sugar Bowl. In addition to film scoring, Teehan is perhaps best known for his work with the acclaimed Lemon Bucket Orkestra, with whom he has toured Canada and Europe, as well as being a member of the European Saida Baba Talibah jazz band, and, currently, the Heavyweights Brass Band, whose music is regularly played on jazz radio stations across Canada. Virtually every major music award from coast to coast in Canada has recognized Teehan’s extraordinary work. Since 2010, he has been nominated for an impressive list of awards, which includes three Juno Awards, the first of which marked him as the youngest person to be nominated for a Juno in the Classical Composition category. He has also been nominated for a staggering seven Canadian Folk Music Awards, four of which were for his work with the Lemon Bucket Orkestra, one for his work with The Boxcar Boys, and two for his work as the engineer and producer of the Ventanas’ self-titled album. He also earned a nomination for Best World Group of the Year at the Sirius Radio Indie Awards in 2014 for his work with the Lemon Bucket Orkestra. Other accolades include a Toronto Independent Music Award nomination, a 2nd place finish at the SoCan Foundation Awards, as well as numerous top finishes at choral competitions across Canada as well as internationally. When asked about some of his most memorable film projects, he singles out a few of the films that stand out to him. The first film he mentions is Hogtown, which was directed by Canadian actor turned director Nick Latimer, and features among its cast WWF wrestling legend Jake “the Snake” Roberts. Teehan describes the film as “avant garde” and the experience as one he “can never forget.” Hogtown is the name of the city where the film is set, a futuristic version of Toronto, which has slid into poverty and debauchery. The protagonist, Boris (aka Baxi) is Hogtown’s only pig-mask wearing insomniac “baxi” driver, which means that in lieu of shuttling people around in a taxi, he spends his evenings transporting his fares from Point A to Point B on his back. When the dirt, grime, and depravity of his surroundings become too much for him to take, Baxi takes it upon himself to clean up the streets in a gory wave of vigilante justice. The film screened at the Shaved II Film Festival, as well as enjoyed several underground screenings, which sparked the major cult following the film has today. Despite the independent vibe of the film, it drew the attention of Mississauga Life mag, as well as the famous Toronto culture site Blog TO and Zee Big Bang, who covered the film’s making and release. 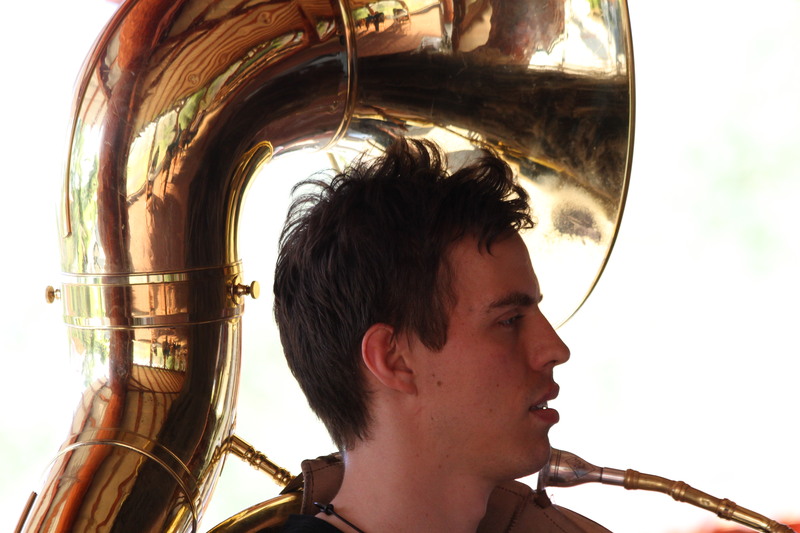 Rob Teehan’s work with the Heavyweight Brass Band on the film’s score was a big selling point for the film. The next film he cites as a favorite is Tulip, Texas, and Us, a charming love story uniquely set to Balkan brass music, scored by Teehan. One of the things that stand out about this film is its international reach and appeal. Tulip, Texas and Us was the winner of the Grand Prix at the Zubroffka International Film Festival in Poland, and was also selected for the Kustendorf International Film and Music Festival (Serbia) and the Timishort Film Festival (Romania). Teehan was interviewed on CBC Radio 3 about his work on the film, which he describes as “quirky”. The other film that immediately stood out to Teehan was the film simply titled Joe, a documentary chronicling the true story of musician Joe Garisto, a musical genius whose career is threatened by a debilitating anxiety disorder and an addiction to the medication used to treat it. The intense film, directed by Patrick Collins and Scott Williamson, was released on DVD as well as on iTunes. Taking on such varied musical themes as mental illness, young Eastern European love, or futuristic dystopia is no small feat, and shows the breadth of Rob Teehan’s great talents. Teehan insists that the themes and music in his next films are so varied that they will continue to defy categorization in any particular musical genre. They include the Italian animated short film Life is a Coin, about the exciting travels of a 2-Euro coin named Dante who travels across Europe, followed closely by the release of the documentary feature The Babushkas of Chernobyl, a film about the old women of Chernobyl who chose to sneak back into the contaminated zone after the nuclear meltdown in Chernobyl, Ukraine in the 1980’s to live out their last days in their hometown, rather than suffer through a relocation to a new uncontaminated city, as well as the Venezuelan documentary film Flor de la Mar about a well-hidden archeological treasure found on the Venezuelan island of Cubagua, and the feature documentary The Unsinkable Captain John about a historic Toronto ship facing and fighting eviction after generations in the Toronto harbor. After many successful years in his native Canada, Rob Teehan is heading to Hollywood, not only for the warm sun but to bring his music to more Hollywood films. We wish him good luck, fame, and fortune, and can’t wait to see this top talent hit Tinseltown!